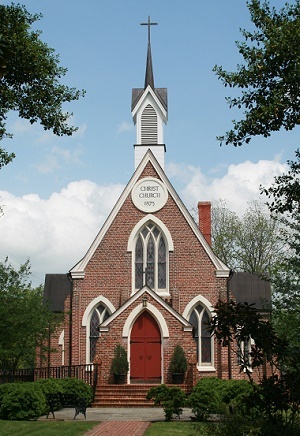 Christ Church is a parish of the Diocese of Virginia in the Episcopal Church in the United States. We are located on the south-east corner of W Baker & N High Streets in the Town of Gordonsville, Virginia. Our mission is to worship God and to build friendships with those around us. We show reverence for God, practice the hope and belief of our faith, and relish in the comfort and joy that comes from knowing Christ and seeking to follow God’s will. The doors of Christ Church are open to all people who seek a deeper knowledge of God through worship and service in the name of our Lord Jesus Christ. Organist: Thomas E. May, Jr.